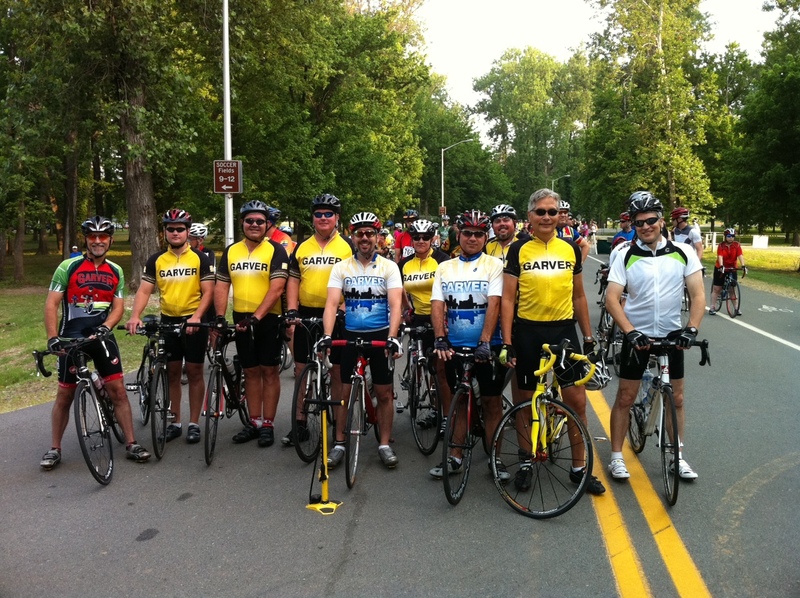 More than a dozen Garver employees and associates participated in the eighth annual 2011 CARTI Tour de Rock bicycle endurance ride in North Little Rock, Arkansas. The ride offers 30, 50, 62, and 100-mile courses as well as a family fun ride, and all proceeds benefited the Central Arkansas Radiation Therapy Institute. More than 1,000 cyclists pedaled for the cause, and $125,000 was raised through the event. The funds will allow CARTI to continue bringing the fight to cancer through extensive patient outreach, education, and advanced forms of radiation therapy. Garver was a Gold Sponsor for the event, and the Garver bike team included Blake Staton, Scott Donaldson, David Yandell, Bert Parker, Bethany Mooney, Dan Williams, Nancy Fulmer, Brock Johnson, David Gambill, and several relatives and business associates. More information and pictures are available on CARTI's website and Facebook page.